I must confess that before I first saw The Kennel Murder Case, I had never heard of the character Philo Vance, and even after seeing the film, it was years before I realized that this was a recurring and well-known character. Well, live and learn. One day I may actually read one of the original novels with the character. 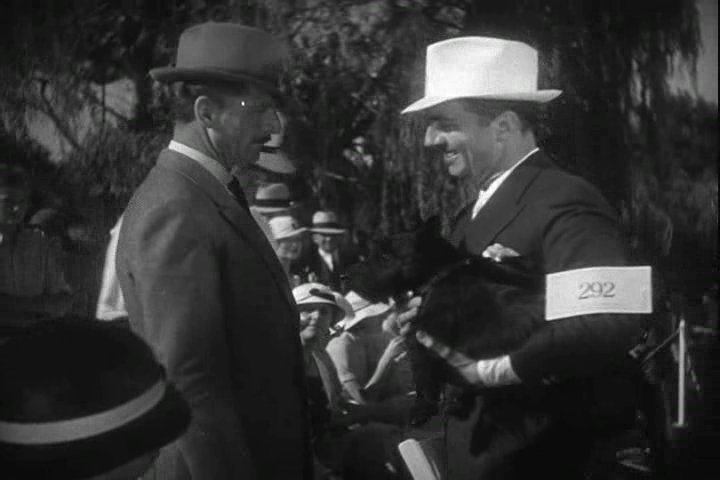 The film begins at a Long Island dog show, where, amongst many other dog owners, Philo Vance and Archer Coe exhibit their dogs. The following day, Coe is found dead. The police suspect suicide, but Vance is convinced that the truth lies elsewhere, and cancels a planned trip to Europe in order to investigate the case. It turns out that Coe was not a very well liked man, and many have reasons for wanting to see him dead. Vance starts to investigate the case from many different angles. 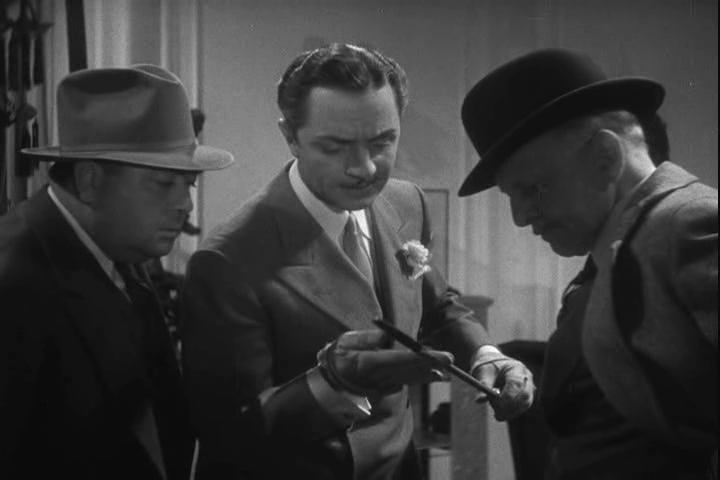 The Kennel Murder Case appears to have been the fourth and final time that William Powell played the role of Philo Vance. At least one of the previous films, The Canary Murder Case (1929) is available from the Internet Archive. In addition, there are some old radio episodes available with Philo Vance. This film is best enjoyed by fans of whodunnits. This is a thoroughly pleasant film with good actors, good photography, and just the right amount of plot twists. If you want to explore Hollywood film from the 1930s, this is a very good place to start. The Second World War saw on both sides of the conflict a considerable rise in the quality of its cinematic propaganda material. One of the driving individuals behind the American material was William Wyler, who in 1944 helped direct and produce both The Memphis Belle, about a B-17 Flying Fortress in action over Germany, and The Fighting Lady. 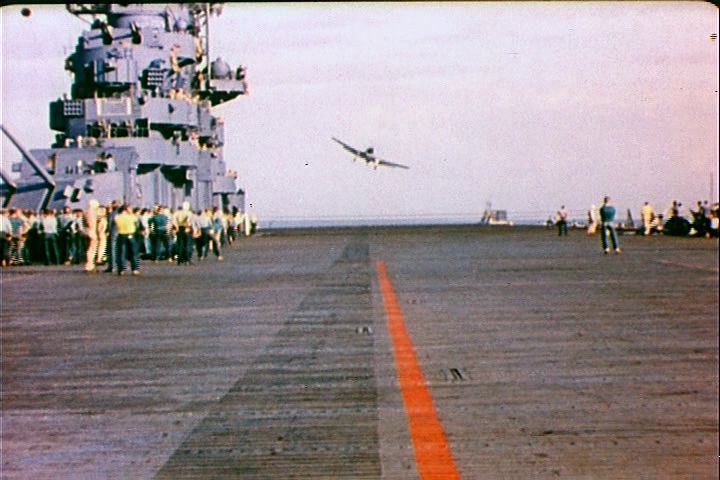 The Fighting Lady tells the story of an aircraft carrier in the Pacific. The ship is unnamed in the film, but most of the scenes were filmed on board the USS Yorktown. 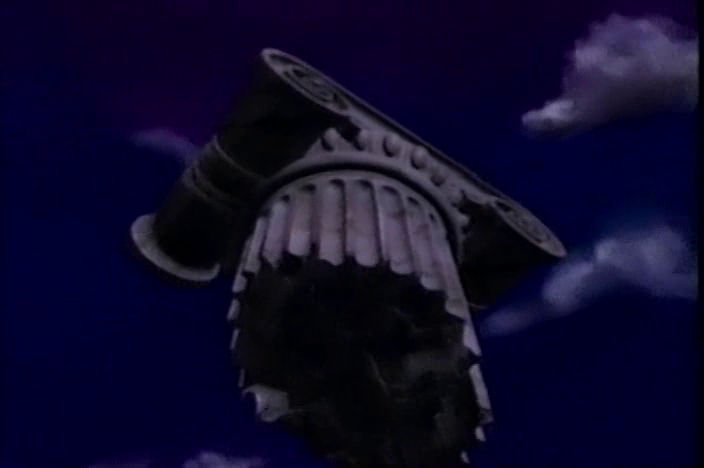 The film stresses the difference between the boredom of everyday routine, and the dangerous bursts of action during a battle. An effective and dramatic contrast is thereby reached, which together with authentic combat footage helps to make this one of the better American documentary/propaganda productions from the war years. Typical of Wyler’s films, there is no attempt to hide the losses of human lives caused by the war. On the contrary, the US casualties are held up as tragic but also heroic. No doubt, this helped to strengthen home front morale, as long as the audience were also told that the terrible cost was paid back in full to the enemy. 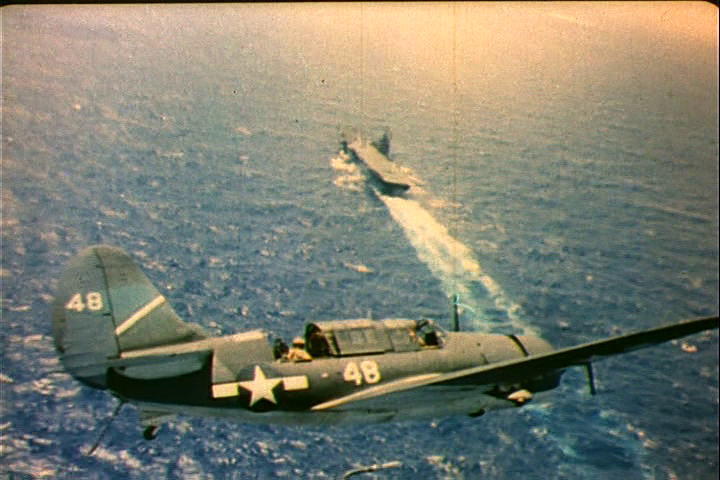 If you like this sort of film, you may also want to take a look at Wyler’s Thunderbolt (1947), about the P-47 Thunderbolt and the action it saw during the campaign in Italy. This film is best enjoyed for a better understanding of one of mankind’s most terrible conflicts ever fought, not forgetting that it is in many ways propaganda and not foremost a historical document. The Internet Archive is a strange site, but also rewarding. The structure leaves much to be desired, but the positive side is that in order to find what you are looking for, you are likely to stumble upon other interesting films in the process. Like when I was looking for the film Samsara (2011), which I reviewed a few weeks ago. After some little confusion, it dawned upon me that there are in fact two films with the same title at the Archvie, and the other Samsara also seemed interesting. It is hard to imagine two films that are more different; yet both embody the Sanskrit word ‘Samsara’, which in Buddhism refers to the constant cycle of life – birth, death, rebirth – and yet both evoke the same feelings of wonder and awe. Samsara is about the Buddhist monk Tashi. He is young, yet he has been in the monastery for most of his life. He is very devoted, but after meeting the young woman Pema, he suddenly starts to have feelings of doubt. Is this all there is to life? What about love? Family? 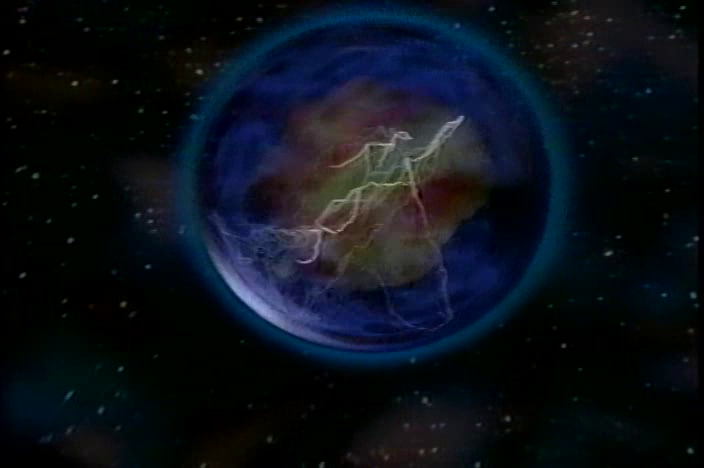 He decides to leave the monastery to seek Pema and try to find out. Samsara is a film about people trying to cope with everyday life, in a part of India where most things are what they have been for centuries. People weave their clothes and farm their fields in the same way as their grandfathers and grandmothers did. But modern life is drawing closer, along with all its blessings and curses. This is a very beautiful film, filled with the magnificent nature of countryside India. But even though nature is important and breathtaking, focus is always on the humans living in it; on their strenghts and their faults. This is a very warm and loving film. This film is best enjoyed when you have plenty of time and nothing to disturb you for a few hours. Samsara is a film that allows, and requires, room for contemplation.